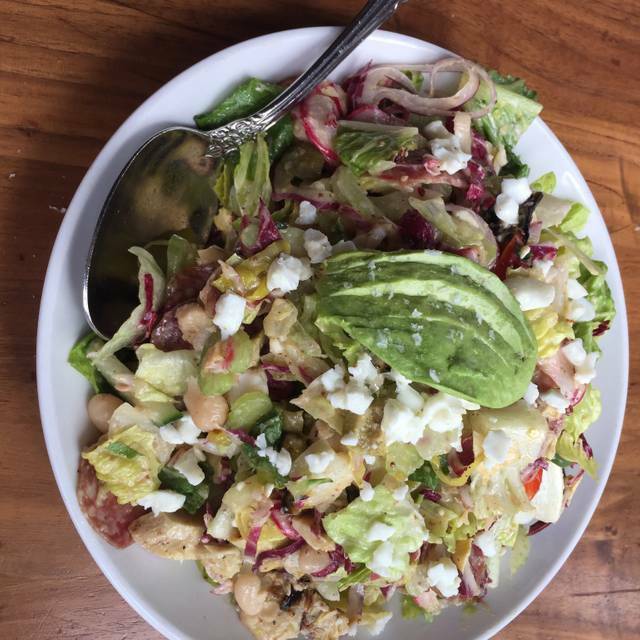 Lunch is served until 3:00pm weekdays. Brunch is served until 3:00pm on weekends. 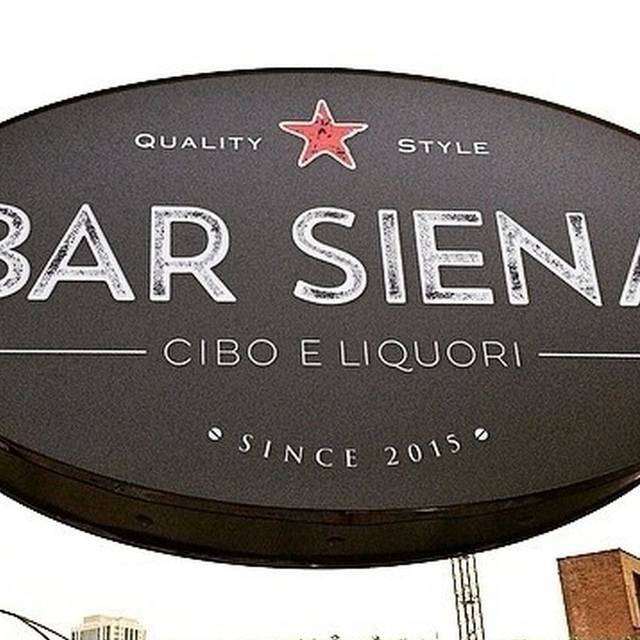 Bar Siena, the sister venue to River North's Siena Tavern, offers a slightly smaller menu inspired by expansive Italian street food such as antipasti, pasta, and pizza. 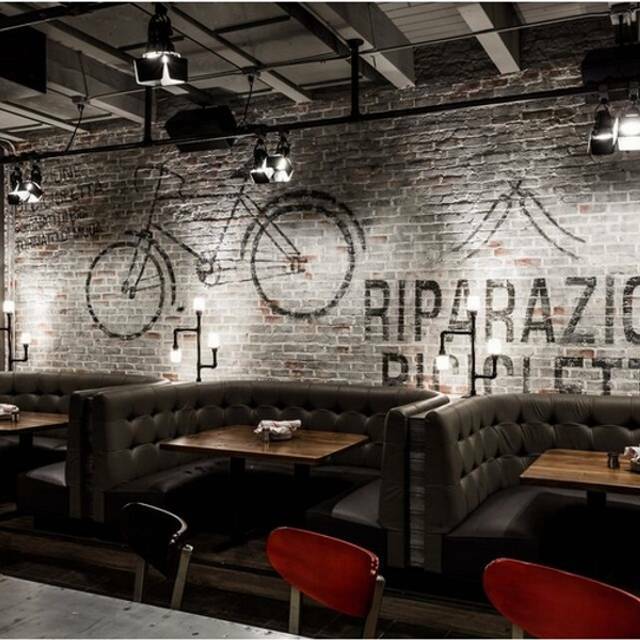 Overseen by partner and Top Chef, Fabio Viviani, the menu focuses on Cicchetti style cuisine, with dishes served as they're prepared and are perfect for sharing. 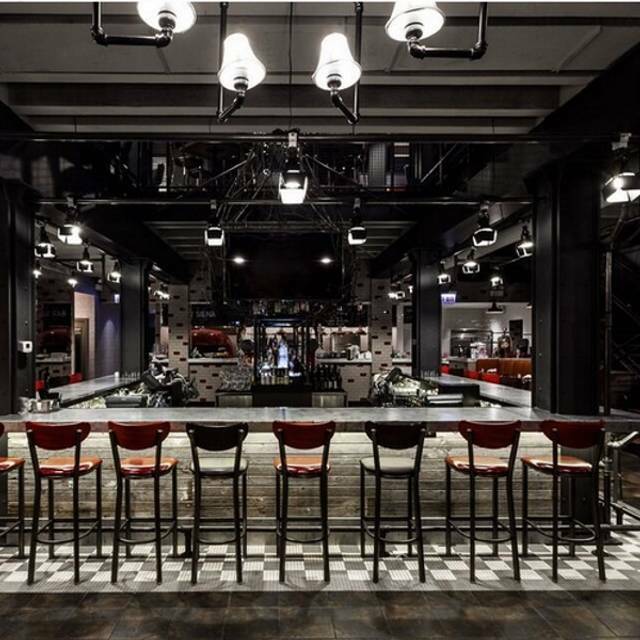 The two-story restaurant, spanning 8,000-square-feet, is located in the heart of restaurant row in Chicago's West Loop neighborhood. Upon entering, there is a bustling bar and on the second floor, a vibrant dining room, both connected by an arresting illuminated sculpture inspired by Siena Tavern's olive tree icon. Bar Siena is the perfect location for weekday lunch, dinner, happy hour or weekend brunch. If you're looking for something a little sweeter, stop by Bar Siena's side-concept and walk-up window, BomboBar, located on Green Street. 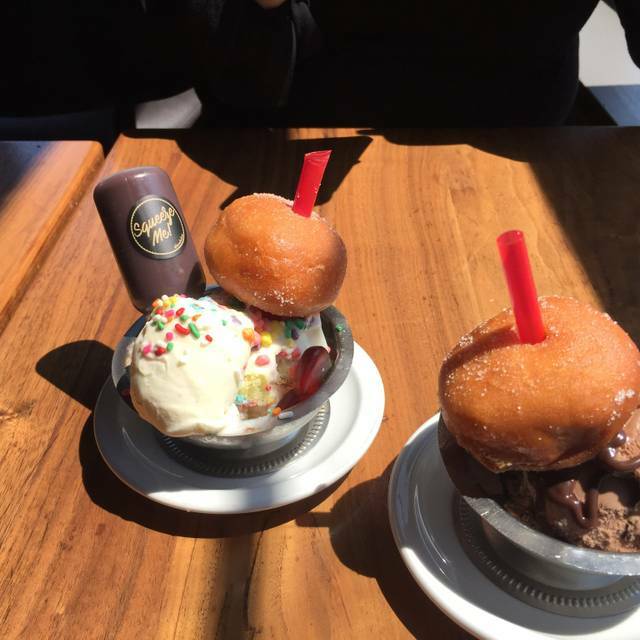 Grab a coffee, bomboloni, gelato or hot chocolate to go! Come celebrate with us this Mother's Day! Enjoy delicious a la carte menu specials in addition to our regular brunch menu. 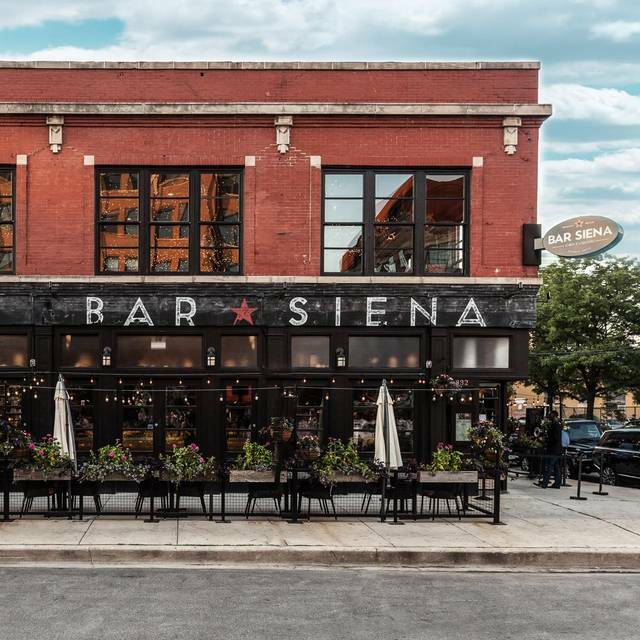 Bar Siena is great for a fun gathering in the West Loop. Go heavy on the pizza and pastas. And drinks. You're going to want those too. Server and staff were super kind. Food was awesome. Outdoor seating was great. Highly recommend. Fun, lively atmosphere with good food. The menu is somewhat limited. Very large outdoor eating area. Good food and service. Went with a group and although happy it was lively, the music is too loud to hear over the table in the first floor. 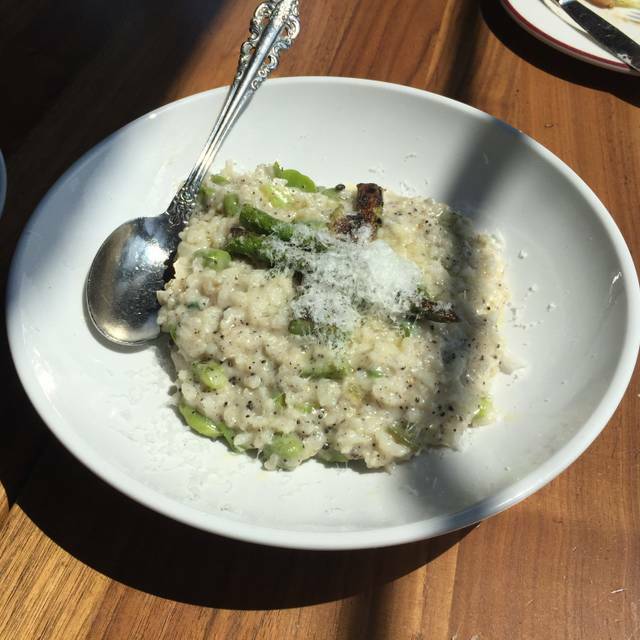 Service was prompt, the risotto was incredible, the pizza was pretty good, and we were seated nearly when we arrived. My only complaint is about the noise level. 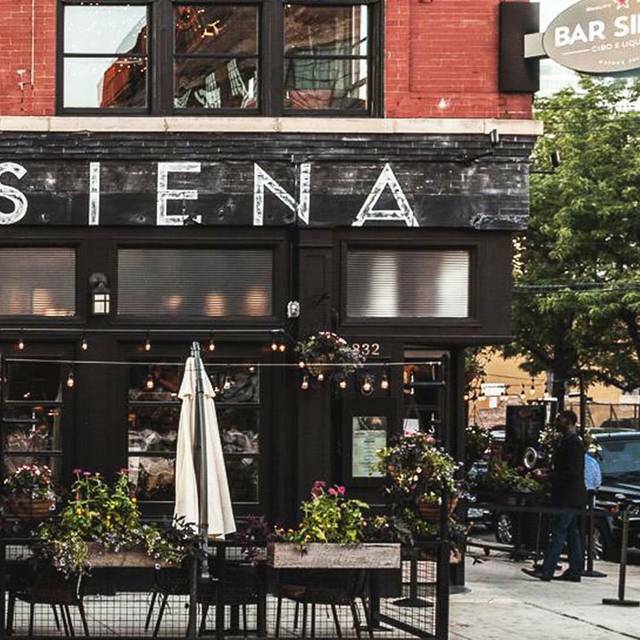 It was our first time in Chicago and someone at our conference recommended Bar Siena to us and we were so happy we took them up on it! Amazing food - we had the burrata, the gnocchi, and the capellini, and it was ALL DELISH. My only regret is that we couldn't eat more, including dessert. The only thing I could have done without were all the TVs. The decor was really lovely but all the TVs made it feel like a sports bar. I think we ordered wrong— something was very off. Delicious! The short rib lasagna is worth every bite, the #13 cocktail is so good it should be served in a pitcher! Amazing, as per usual! I am a huge fan of their dinner service, but finally tried their brunch and was completely blown away. The whole table raved about our experience. Most definitely going on the list of frequent favorites. Gnocchi was amazing, as was the salmon. Food arrives hot and fresh. Also the crispy Potato Wedges (Skins) with Parmesan and Truffle Aioli were amazing! Terrible phone service ahead of visit. Table type request wasn’t kept. Had to go back and check in after being seated. Menu presentation is highly rehearsed to make up sell, so no genuine recommendations. Cumulatively it was a lot. Very charming and attentive waiter and beautiful decor and flatware. Just done by a restaurant group, so it’s more novel food than great food and the experience is all superficial and a little ick because of it. Amazing. Get the Burrata! Don’t miss the meatballs! Amazing food! My friends and I ordered a few dishes and passed them around the table to share. If you are in Chicago, this should be at the top of your list! There are too many good restaurants around. This one was way too noisy. And I didn’t like that you couldn’t be seated until your whole party was there. Very good food and loved the atmosphere. Service was a little slow but very friendly staff! Would recommend!! The food wasn’t that great, especially for the price. The pressed juices we tried were AWESOME though and so was the dessert. Staff was very attentive and friendly. It looks very nice inside. Overall it was ok. Cute place to go for drinks or dessert. I wouldn’t go for brunch again though. My husband and I celebrated our anniversary. The managers treated us to a glass of Prosecco. Couldn’t of been happier with our experience. Great energy, young, hip, and trendy. Was there for a girls night out dinner. Great service and food. Was a bit loud for conversation but not a deterrent. Food was fantastic, nice variety and innovation in the menu; fun place with an energetic vibe. My out of town guest said she would come back again. I’ve been here before and received very good service, but this time it seemed like our waiter was handling a lot of tables and it took awhile to put in our orders as well as get our check. Like I said I’ve usually had good experiences here, tonight just seemed off. We sat upstairs where it was quiet enough to have a conversation and away from the bar scene. I recommend that for the older crowd. Have been to Siena Tavern and expected a similar vibe. Felt like like a big college reunion going on. Staff was too attentive, too hard to hear my friend across the table to use this as a place to catch up. Bar Siena was great! They have a great selection of freshly made foods and ingredients. We ordered the burrata, and it was delicious. There was a bit more cheese to sweet topping ratio but it was still amazing. Then we had the lobster tagliatelle. The pasta was so fresh and the sauce was a great creamy consistency. Absolutely delicious! Fig pizza was amazing! The avocado toast had good flavor, but had too much avocado (never thought it'd be a bad thing) so the bread became mushy when paired with egg. Over not a bad brunch place. The noise was a little loud upstairs so our group had to talk up a bit more, but nothing too inconvenient. Food was amazing; service was ‘good’ but they were very busy so I’m sure that’s what contributed to it. Great ambiance! On the pricey side. Wonderful atmosphere and very good food. A great experience. Everything was delicious, especially cocktail #3! We are moving to the West Loop from the north shore (suburbs). We told our realtor we need to be in walking distance from Bar Siena. Incredibly delicious food and a fantastic server. Had a wonderful meal of steak with fennel salt and truffle potatoes not to mention the killer Hotter Chocolate! 😋 yum! The food was great, it was so loud in there you could hardly hear anything. It was super crowded on a Saturday afternoon, and there is only a one person at a time bathroom on the upper level.